An extraordinary, emotional, practical, exhilarating study of the power and glory of prayer. What makes prayer work? What makes prayer fail? One of the most powerful and inspiring books on prayer that you will ever read. A real page-turner. You will never be the same after reading this book. CHAPTER TITLES INCLUDE: I Give Myself Unto Prayer Daily Intercession No Time to Pray Making a Prayer List Praying by Notes Why People Do Not Pray Priorities in Prayer Track Your Results About Intercession How to Intercede How to Pray You Can Call on that Name Angels and Answers Praying in the Spirit Unimaginable Miracles "Life or Death" Prayers Fasting and Praying Confrontational Prayer Binding and Loosing Speak to the Problem Blessings and Curses Prevailing Prayer A Quiet, Solitary Place to Pray God's House of Prayer Into The Most Holy Place Let Us Pray Pray With Me Approaching The Mercy Seat Prayer Starters My Positive Confession Basic Principles Of Prayer Notable Prayers in the Bible Valuable Quotes On Prayer Select Prayer Topics An amazing book that will dramatically improve your practice of prayer. Sharpen your prayer edge with more effective prayer than ever before. Supercharge your daily prayer time with thorough, dynamic prayer. This will forever improve your prayer habits. You will wonder why you ever prayed less. 278 Pages. A Pentecostal minister since 1966, Ken Raggio has been a Pastor, Evangelist, Singer, Songwriter, Musician, Broadcaster, Journalist, Editor and Author. 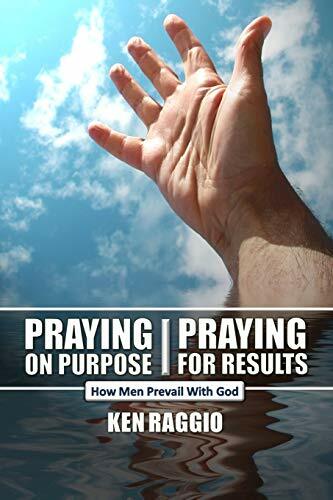 Ken has maintained a major Internet presence since 1996 at kenraggio.com and has tens of thousands of subscribers in 215 nations to his daily writings, including "Today's Bible Study," a daily email containing four 100-word mini-Bible-lessons. He is now focused on writing and producing video teaching series.